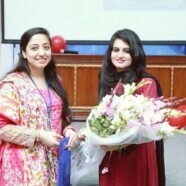 The Armacost Psychological Society in collaboration with University Counseling Center arranged a talk on a highly important topic “Unconditional Love: the Key to Lasting Relationships on Friday 07 April 2017. 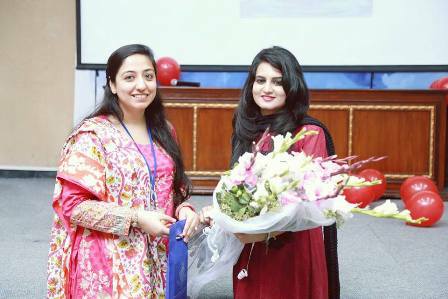 The talk was conducted by Ms Maryam Rizvi, who is a Clinical Psychologist and Lecturer at UMT and GCU Lahore and Ms Saba Javed, who is also a Clinical psychologist in addition to being a lecturer at UCP and GCU. The talk involved a highly detailed discussion on the aspects of unconditional love and how it contributes to long lasting relationships particularly emphasizing on breaking off the stereotypes on conditions in a relationship. 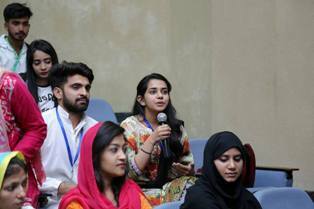 The talk was also followed by an active participation of the audience through question and answers, the talk was enjoyed by everyone considering the importance of the topic in today’s youth.